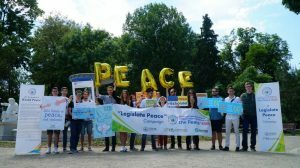 In wikipedia, a peace walk or peace march, sometimes referred to as a peace pilgrimage, is a form of nonviolent action where a person or groups of people march a set distance to raise awareness of particular issues important to the walkers. 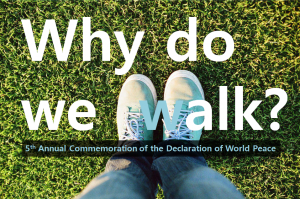 Why do we walk? We can do case studies. 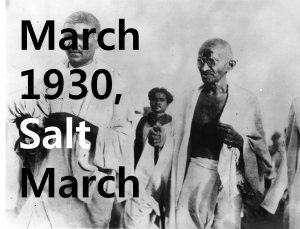 Thousands set out to town Dandi on the Arabian Sea in order to resist British Salt policies. More than 80,000 people were arrested and beaten but they prompted international outcry against British policy and captured the world’s attention. – “I Have A Dream”, Martin Luther King Jr. Millions gathered to draw attention to inequalities faced by African Americans after emancipation. 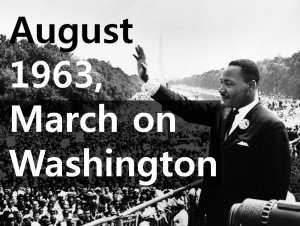 This walk helped to create national understanding of racial injustice, Civil Rights Act of 1964. 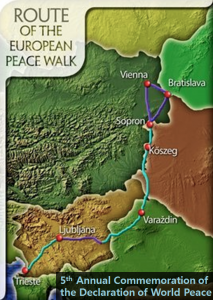 Started on 28 July in Vienna, Austria and ending 23 days later in Trieste, Italy, the 550km walk was officially created to commemorate the 100th anniversary of World War I. Women do not remain silent in talking and walking to prevent violent extremism. 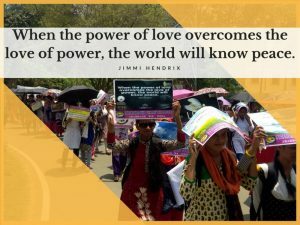 So peace walks and educational activities were held in New Delhi, Kolkata, Mumbai, and Hyderabad, India. 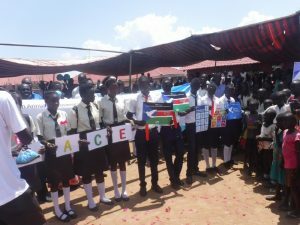 Kapuki Senior Secondary School located in Juba, the capital city of South Sudan, hosted Peace Walk, in which 5,000 people participated. Join us. It is the easiest way to achieve peace! 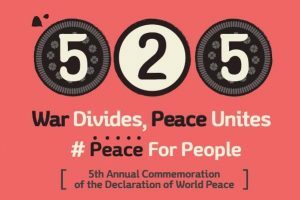 Realizing World Peace! Everything is up to us!